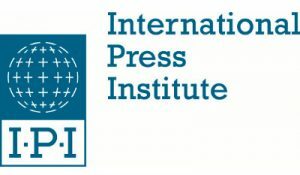 The International Press Institute (IPI) is a global network of editors, journalists and media executives who share a common dedication to quality, independent journalism. Together, we promote the conditions that allow journalism to fulfil its public function, the most important of which is the media’s ability to operate free from interference and without fear of retaliation. IPI was founded in 1950 at Columbia University in New York City by a group of 34 leading editors from 16 countries who believed that a free media would contribute to a better and more peaceful world. For nearly seven decades since, IPI has been at the forefront of the battle for media freedom and independence. IPI’s members include media professionals representing leading digital, print and broadcast news outlets in more than 120 countries. IPI members work cooperatively to shape debate on policies affecting the media and to push back against those seeking to restrict the free flow of news and information in order to protect political, economic or other interests. Equally important, IPI membership offers solidarity in the face of oppression. The annual IPI World Congress is a preeminent media freedom gathering, bringing together over 300 editors and journalists to debate trends and exchange best practices. The Congress location is often chosen with a view toward advancing fundamental rights in countries where they are under threat. A politically neutral organisation, IPI holds consultative status with the Council of Europe, the UN Economic and Social Council and UNESCO, and is a founding member of the IFEX global free expression network.